President Obama was in Camden, NJ, this afternoon to tour Camden County's two-year-old Metro Police Division and talk about it's community policing efforts. 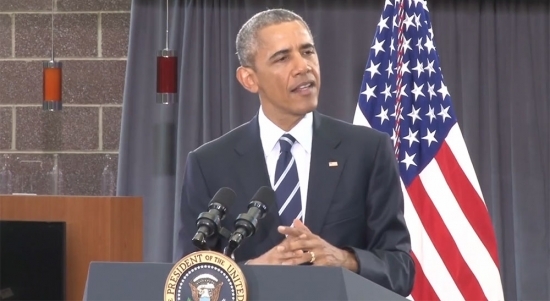 "I've come here to Camden to do something that might have been unthinkable just a few years ago and that is to hold you up as a symbol of promise to the nation," the president said. Violent crime is down 24%, Murder is down 47%, and drug markets have been cut 65%. He also announced that his administration has banned the use of certain types of military gear by local law enforcement agencies in an effort to ease tensions with communities. Tracked vehicles, grenade launchers, bayonets, large caliber weapons, and weaponized aircraft are not allowed. Police can still use riot gear, specialized weapons, and wheeled armored trucks, but there will be more oversight in obtaining them. How much this will change the appearance of the police force responding to a situation like Ferguson or Baltimore remains to be seen. The NTSB announced this afternoon that the FBI found no evidence that the windshield damage to Amtrak 188 was caused by a firearm. They have not ruled out the possibility that another object could have struck the engine. A SEPTA train and an Acela train also were hit by objects just before the deadly crash last Tuesday. Investigators do not know if the incidents are connected. The NTSB also said today that the probable cause of the accident will be determined at the end of it's investigation which is expected to take 12 months, any other reports are pure speculation. They will be providing additional updates later this week. The Philadelphia Flyers have stepped outside the box and surprised many today with the pick for their new head coach. 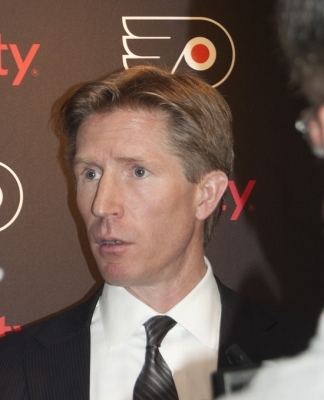 General Manager Ron Hextall has hired University of North Dakota's Dave Hakstol. 46-year-old Hakstol spent the last 11 seasons at North Dakota. He went 289-143-43. Hakstol led UND to the NCAA Tournament in all 11 seasons and reached the Frozen Four 7 times. Hextall's son Brett played under Hakstol at North Dakota. He is only the third NCAA coach to be hired directly to a NHL head coaching position. Dave Hakstol, new Philadelphia Flyer's head coach.